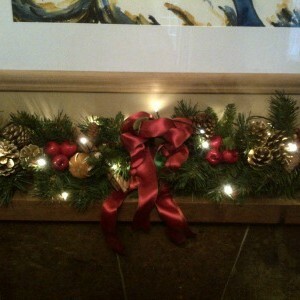 This beautiful garland is hand decorated by us and is a tasteful alternative to fresh greenery. 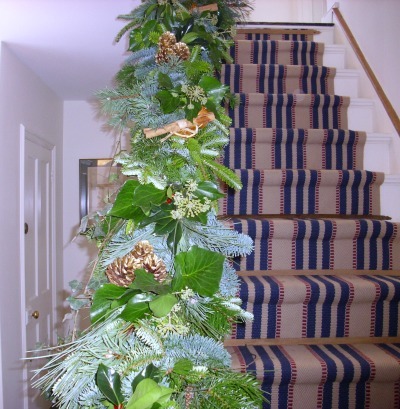 A handcrafted top-quality artificial green garland, 9ft long. 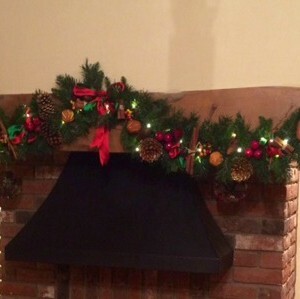 Tasteful and stylish, these garlands are perfect for the mantelpiece, inglenook or bannister. 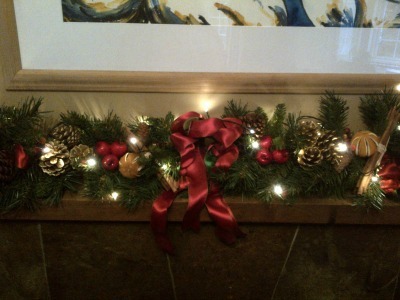 With careful storage this robust garland will last for years to come. 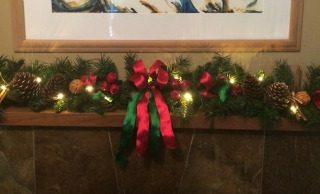 This garland is suitable for situations where fresh greenery would not last, such as a warm mantlepiece, or for an extended season. It is robust and full of texture. 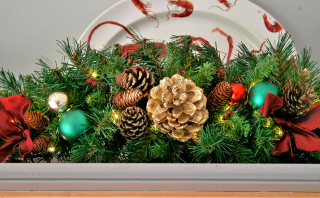 Decorations include warm white fairy lights, natural and gold pine cones, cinnamon, baubles, berries, bows and a luxurious ribbon in the centre. Batteries supplied. 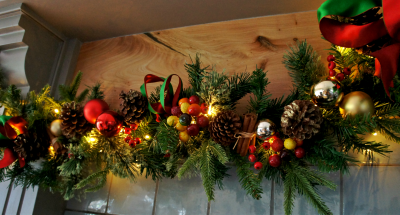 These garlands can also be decorated to your specification. 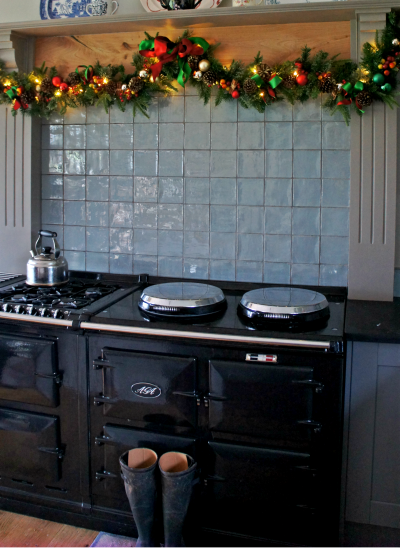 Also available in 6ft lengths.